Got a much better sleep last night, but I had trouble falling asleep. Today it was time to do some grocery shopping as my cupboards was almost empty. But before that I did a run, the sixth on my runstreak. 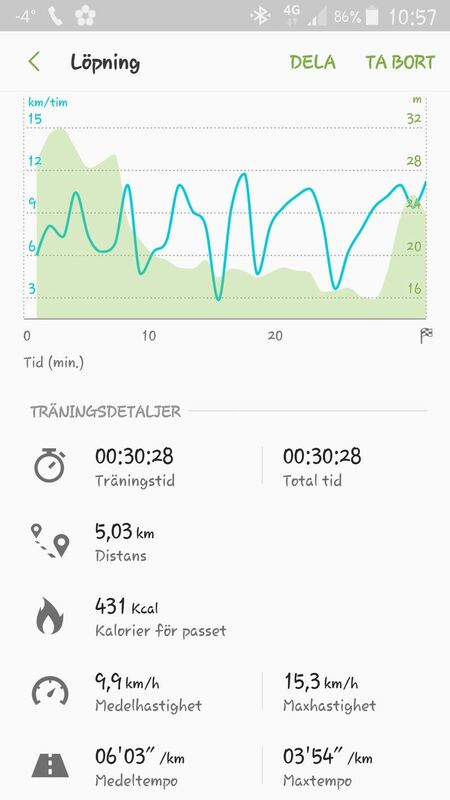 What I can understand from my running today is that it doesn&apos;t go faster, but it&apos;s still feeling better and I can sense differences in my body. I will get back to y&apos;all on that point by the end of this month. But for today I run 5,03km in 30:28 and that&apos;s about 1,5 mins faster than yesterday. I celebrated that advancement with a "semla" a bun filled with marzipan and whipped cream.